The following are the top 15 boys and girls team ranked by Valley Christian SJ coach Josh Small. He posted this on the dyestatcal.com message board and with his permission, I am posting this on here as well to get the feedback from coaches, athletes and parents out there. If you have any input or information that may effect the following rankings, please chime in below in the comment section. Top 3 boys return, including Rowe who is coming off of an 8:55 for 3200 at state. With the best 1-2 combo in the CCS and a strong Frosh-Soph group last year I don’t see any team that is close to the level of Mountain View. There is no question here: this team should dominate once again. This team is loaded and returns 8 of their top 10 runners from last year, 6 of them now Juniors. This team very well could have 5 runners all in the 15’s for Crystal this fall. MacQuitty leads the return of 5 seniors. They will need runners 4 & 5 to step up, which I would safely bet on. Returns their top 6 runners, 5 of whom are seniors. Summers leads the team but will need help from the core runners if they expect to move up the rankings. 8 of their top 9 runners return. There is no standout but all the runners are close and just might take a big jump together. If they do they could be ranked as high as 3rd. 4 of their top 7 return but they lose some heavy hitters. I wouldn’t worry too much, Aptos seems to be one of those teams that always have someone developing, just waiting to move up. 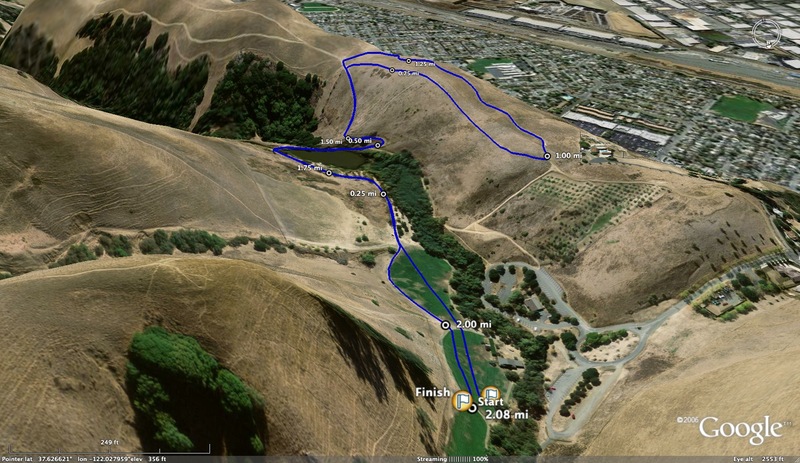 They didn’t run Crystal last fall but ran very well over their home course at Torro. They return 5 of their top 7, but the question is how will they fare against the northern schools away from their home course? Rae is the top returning runner on a team that brings back only 3 of their top 7. This is another one of those teams that seems to have underclassman step up every year, and this year will not be any different. Expect 7 runners all in the 16’s or faster at Crystal. Only 3 return this year as Birsinger and Innes have graduated. I won’t go as far as to say this is a rebuilding year but they will not be as strong as in the past. Led by the Strum brothers this team has potential! Returning all 7 runners they will need for runners 3-5 to step up big. This is my "dark horse" pick of 2009. 4 of their top 7 return, all in the 16’s last year at Crystal. Their top 3 all return, all of whom were in the 16’s at Crystal…but the big question is: who will fill the big gap left by six graduating Seniors? Returns 4 of their top 7, including Singnore who broke 16 at Crystal last year. Will need the underclassman to step up to be a factor this year. 3 of their top 5 return but the team lacks depth from the 4-7 runners. Returns their top 7 runners but lacks a star. They are grouped very close together but to see success will need everyone to improve 30-45 seconds over last year’s Crystal times. Monta Vista (D1) – Returns all 7 runners, all in the 17’s at Crystal last year. If they work hard over the summer they could surprise some people this year. Evergreen Valley (D1) – Graduation hurt this team as 3 of their top 5 graduated. One of the biggest schools on the east side should replenish and be a factor though. Cupertino (D2) – Returns their top 5 runners. Sturges Returns and will likely be one of top runners in CCS; 3 quality runners graduate but this school is a machine and turns out top runners to step up and fill the missing links. Expect Mountain View to dominate once again. Their top 6 all return, including Ferrante who was hit and miss her sophomore year. When she is on, she is one of the top runners in CCS. This team very well could have 5 runners all in the 18’s at Crystal but all 5 will have to have their best race to take down Mountain View. Loses #1; Returns 6 of the top 7. Peterson will be solid and Top 5 returnees have all run sub 20 at Crystal. Mayer is a big loss to graduation but many younger runners are there to make up the difference. 7 out of top 10 return. Could be ranked as high as #2 if track success coverts to the trails this fall. With Hinds, perhaps the top returning runner in CCS, this team will be tough but is missing the 1-2 punch they had last year with Daly. 5 of top 7 return including top 2; Needs a number 5 runner to step up. Loses #1, but has a strong group of runners returning. They will be a top contender, as always! Returns 4 of their top 6 runners and if freshman 800 runner Healy does cross country they will have a solid top 5 and be a top competitor. Top 5 return led by 800 State qualifier Huang. If the 3-5 runners step up they could be a top contender. If their freshman 800 runner Parmeshwar runs XC she could be the 1-2 punch for Leland that returns many quality runners already. 6 of the top 7 return. No standout #1 but the core of runners in their top 5 could all be sub 20 at Crystal this year. Loses #1; Returns 4 runners in the low 20’s but needs a #5. Should be strong this year. Loses Bergman, which is a big hit and why they dropped so much from last year’s rankings. Top 6 of 7 return, plus Higgins who took a year off due to injury. Needs the core of runners to step up big. Big loses to graduation but a good group of runners return! Evergreen Valley (D1) - This team should be in the top 15...but where? 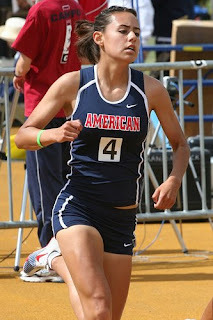 Samantha Garcia had a great track season and could very well be a top runner this fall. That said this is a very solid team. With a number 5 runner they could be ranked as high as 5th. Woodside Priory (D5) – 3 runners in the 19’s last year at Crystal. With a decent 4 & 5 runner could be a top team! Comments: It was tough to rank 6-10...these teams could mix it up in any order and are all very close. The difference is the top 5 teams all have a solid 7 runners which allows someone to have a bad day. Double click image to the left to view the larger version. If you spot any errors, please email me at albertjcaruana@gmail.com. The team that has won the most combined plaques (boys and girls): Nordhoff with 19 plaques. A close second and still collecting plaques is San Francisco University with 17 plaques. The list below contains every girls' team that has finished in the top 3 at the California State Meet. 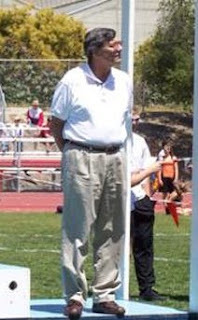 During the first few years, the podium teams included only 2 teams but for the sake of uniformity, I included the top 3 teams for every year starting with the first ever California state meet in 1987. Double click picture below to view the list without having to use a magnifying glass. If you find any errors, please send them to albertjcaruana@gmail.com and I will update the list. I will post the boys' podium teams tomorrow. Look for other interesting state meet stats during the summer. ESPN will be covering the meet at 4:30pm on both days (Saturday and Sunday). Any thoughts on the above selections? As always, well done list by Joe...great way to select athletes from so many events. 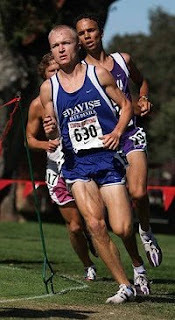 Today we chat with Sac-Joaquin Section, Del Campo HS runner, Matt Case. If you were to try to identify the runner who was the biggest surprise to place at the state meet and was the most improved from the previous season, Case would have to be near the top of your list. You can see the amazing jump of times from his PRs below from his junior to his senior seasons. As he correctly identified, his 1600 PR from his junior season was his most competitive. However, for a runner to go from 2:07 to 1:52 in the course of one year is astonishing. Case will be a great addition to the Sacramento State's current freshman class which includes teammate Dan Mitchell and Clayton Valley's Nathaenal Litwiller who coincidently just finished right behind Case at the state meet in 3rd place. 1) What were your PRs for the 800, 1600 and 3200 at the end of your junior season? Only the 1600 was any good. I pretty much sucked in the other two. 2) What are your PRs now for those races now? 3) What do you feel were the reasons for the improvement you had this past season? 4) When did you first realize you had a shot to make the state meet? The first time I realized I had a shot was when I ran 1:56.58 at the Viking Classic in Santa Rosa. I felt good and after I got home, I checked the SJS 800 leaders and I was among the top. I also thought I could make it in the 1600 due to my 4:17.61 which was second fastest in the section only behind my teammate Dan (Mitchell). All i needed to do was choose which event would give me the best shot and it turned out to be the 800. 5) Once you got to the state meet, what was your goal (time or place)? At prelims, I just wanted to make finals. As for what time, I was hoping for somewhere in the 1:51's but I was perfectly happy with the time that I got. Once I got in the finals, I was going for a podium spot, of course I was aiming for the win. 6) Will you continue to race this summer and where will you be attending college? Over the summer, I may do a few road races but nothing too much more than that other than training. Next year I'll be heading off to Sac State to run and major in Criminal Justice. Dan is also attending Sac State. 7) What would you say a typical week looked like for you from Monday through Sunday? On Mondays we would always have intervals. They differed week to week. One week being 5 repeat miles to 6 repeat 800s the next, then the occasional speed workout. (more speed at the end but still not extensive) All with 1-2 mile warm-up and 1 mile cool-downs. Tuesdays were more of just a recovery day from Monday and ran 8 or 9 miles easy with a pick up for the last 3 miles. Thursdays depended on what the schedule was for the weekend. Meet on Sat- 10 hill sprints (run only the steepest part of the hill), meet on Friday- 5 miles easy and hill sprints postponed to Sat. About 8 miles total. Friday is an easy run. 5 miles if there is a meet on Sat, If there is no meet, 7-8 miles. 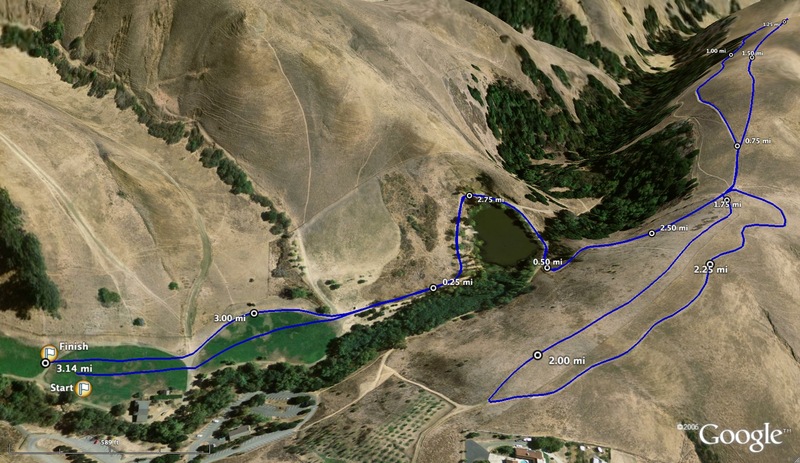 Saturday- Usually a meet day but if there was a meet on Fri, we would do hill sprints on Sat, otherwise just 8 miles w/ a pick up at the end. Also run 4 miles in the mornings on Mon, Wed, and Fri.
8) What would you say were some of the track workouts that you did that you think helped you run 1:52 in the 800? As for the 800, I truly don't know which workout helped the most. Like I said before the only new thing this year were the hill sprints so it may have been that. I did really enjoy repeat 800s and 400s though. It may also be that I have just had a lot of speed all along and just hadn't discovered it until this year. You are welcome. It has been a great season and I am looking forward to the upcoming years of running in college! I'm riding the Livestrong 100 miler on July 12th, and need to get some pledges! Hey everybody! I am riding the 100 mile Livestrong Challenge on Sunday July 12 here in San Jose, and I am shamelessly asking you to make an on-line pledge in my name! You can go to the following website, and they’ve made it pretty easy to donate. Feel free to pass this on to any mutual friends…I don’t have all that many e-mail addresses in my computer!! If you’ve got any questions, just respond to this e-mail. Sorry if I’ve been out of touch, but I just returned from a two week stint in the Dominican Republic, but I’m back and plugged in again!!! 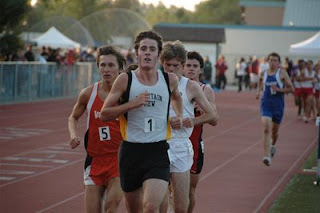 Today we hear from Novato HS runner, Erik Olson, who just recently finished in 7th place at the CA state meet 3200m. run with a time of 8:56.56. Quite an impressive time for Erik who had multiple sub. 9 min. efforts this year but went into the state meet run in less than ideal condition (explanation below). Erik just also recently ran the world famous Dipsea race and finished in 5th place. No question, that Erik had one of the best track and field seasons ever for a Northern CA distance runners and with one year remaining for him in high school, greater achievements are definitely ahead of him. 1) What did you do training wise (day by day) following the NCS final on Saturday to the 3200m. final yesterday? Well the day after NCS, I took off. Then Monday, I ran a 10k tempo run and ran a few 200s afterwards to work on closing speed. That day, I had the most amazing headache ever and did not feel good going into the workout, yet come time for the workout, I was feeling great. Then, I got home and started experiencing some severe chills and got my temperature taken from my mother. It turned out I had a 101.5˚ fever. Thus, I stayed home from school for two days and went to the doctor. On Thursday, I went to school, did an interval workout (not at full speed) just to get my legs moving again. Then on Friday, I got the call from the doctor discussing my lab results. It turned out I had food poisoning due to a bacteria found in undercooked chicken. I picked up my perscribed antibiotic as my coach and family left to Clovis. 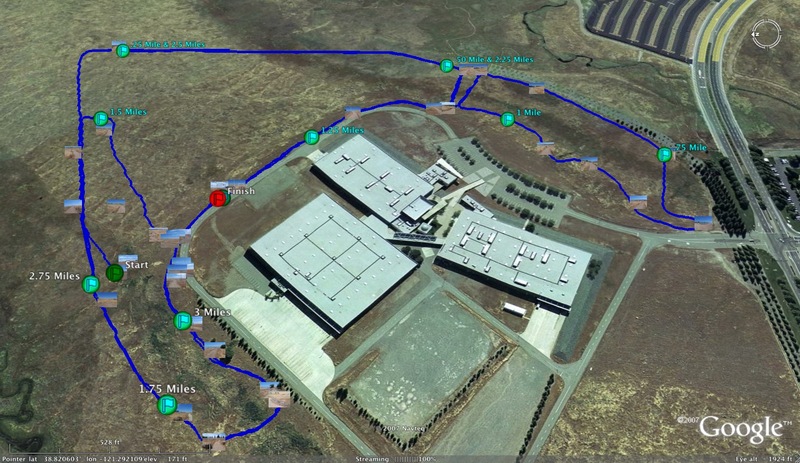 We Arrived at Clovis around 5 pm and did a short shakeout run. 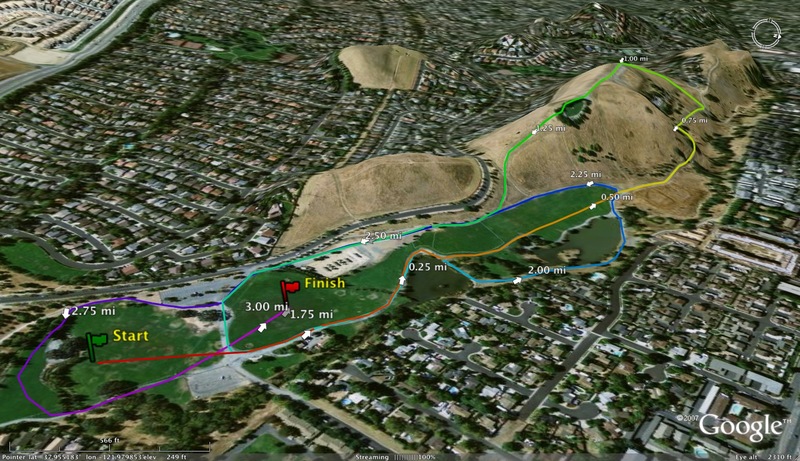 Then on Saturday morning went to Woodward Park for a warm-up run and then kept it low-key for the rest of the day until the race at 9pm. 2) What was your race plan going into the 3200m. final? 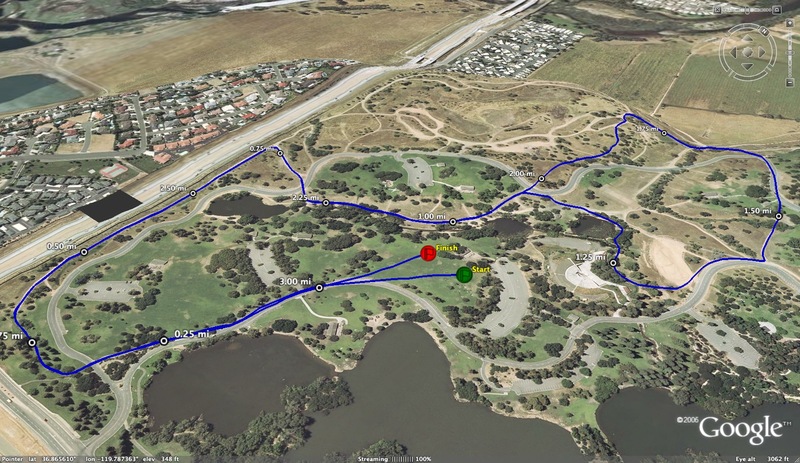 Where there runners you were focusing on or where you focused on running certain splits? Before getting sick, my race plan was to go out in 4:24 and then just see what I had left. Then after I got sick, I just wanted to be able to finish the race. During the race, I was focused on both the time and the runners around me. I was, fortunately, pulled by my competitors to hit a time that I thought was unreachable due to my food poisoning. 3) Tell us a little how your race progressed from the beginning and how it unfolded as it got into the second 1600m. Well, after coming through the mile in 4:30, I felt like crap. I started to second guess my physical strength. Then, five guys just sped past me and I felt obliged to follow. As the laps kept on ticking away, I just kept thinking to myself that the faster I go the faster I will be done and my stomach ache will be relieved. As it turned out, this attitude of just finishing as fast as I could so I could stop my stomach from hurting helped push me to a negative split in the second half with a 4:26. With 200 to go, it was an all out sprint and I was trying to catch Dan Mitchell for the coveted 6th spot. I finally caught him at the line and we got the same exact time down to the hundredth with him slightly edging me out for the last medal stand. 4) What was the toughest part of the race? The first mile was the toughest part of the face for me because mentally it was draining. During that first half, I seriously questioned whether or not I would be able to finish the race, let alone run sub-9. 5) What do you feel that you learned from yesterday's race that will help you in the future? I learned to not get food poisoning the week before the state meet. But also I learned that in order to race well you have to be able to push yourself through your own mental doubt. 6) Any races coming up for you this summer? 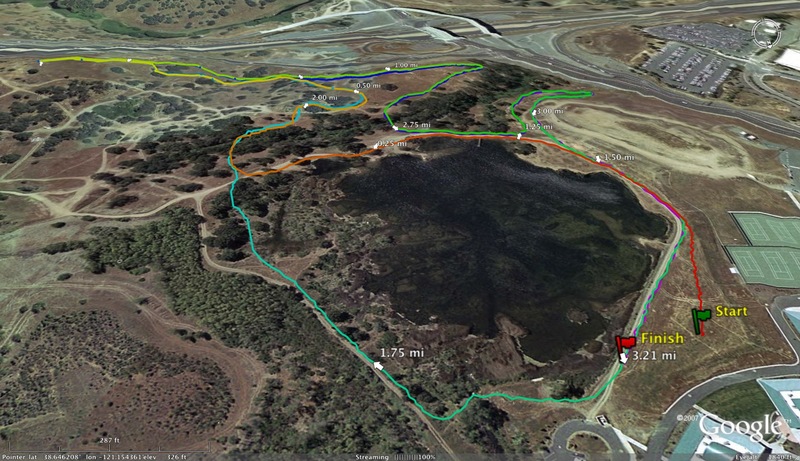 Yes, I plan on running the Dipsea this next Sunday and then running the 1500 and 3000 in the World Youth Trials in Ypsilanti, Mich. on June 30 hoping to qualify for the national team. featuring: top coaches, and the best damn clinic lunch on the face of the planet ! Section titles, and State Meet podium appearances. Liability Insurance: The Coaches’ Alliance offers a $2 million personal liability insurance policy through its carrier for a very reasonable $20.00 per annum. Team policies are only $50.00, and include the whole coaching staff. Today we hear from Mountain View freshman distance runner, Allison Sturges. She is one of the upcoming stars in the Central Coast Section (CCS) as she proved this past season by qualifying for the state track and field meet in the 1600m. She had PRs of 2:20.90 in the 800m., 4:59.32 in the 1600 and ran on her school's 1600m. relay team. The 1600m. mark was achieved while finishing 2nd at the CCS meet, with some daring front running, losing barely to an experienced senior (San Benito's Courtney Allen). 1) What race gave you the confidence this year that you had a shot to make the state meet? My goal this year was to run a sub-five 1600. When I got 5:01 at League Finals, I knew I had a chance to break 5 minutes this season...and I knew that if I could break 5, I would have a chance to go to State. 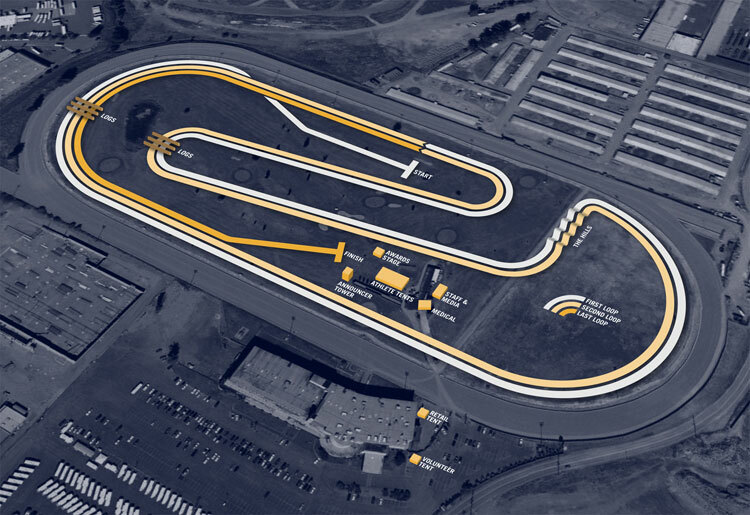 2) Tell us a little about your CCS race and how it developed from start to finish. My goal at CCS Finals was to get in the top 3 so I could make it to State. My strategy to get in the top 3, was to go for first place. 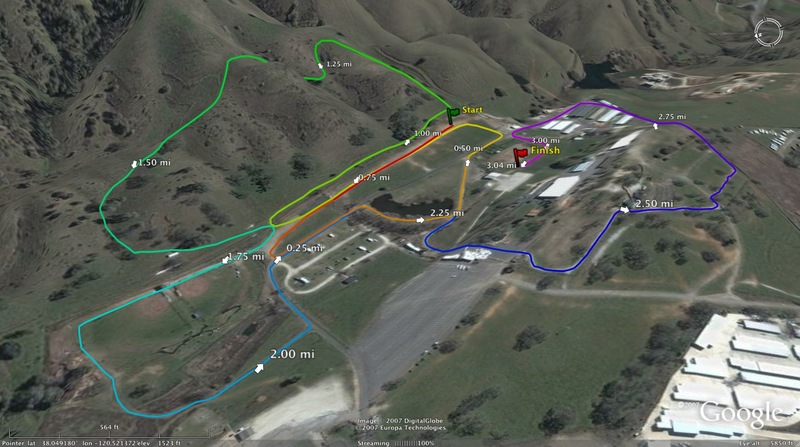 I stayed in the back of the front pack for the first two laps, and slowly started moving up in the last lap and a half. In the last 200 I was leading...then in the last 50, I heard Courtney Allen coming up behind me. Unfortunately, when she came up beside me, she accidentally hooked my arm and that broke my stride...but I stayed focused, and was really happy I finished in 2nd and didn't fall. 3) What was the best part of making the state meet for you? The best part of making State was achieving both my goals for the season - Going to State as a Freshman and getting there by breaking 5 minutes for the first time. 4) What did you learn most about your state meet experience that you think will help you in the future? State meet was a BIG deal. I didn't realize how big of a deal it was until I got there. The stadium was amazing, there were lots of people...I was very overwhelmed and nervous. I was able to break 5 minutes again, but I didn't do as well as I wanted. If I make it to State again, I will definitely be more prepared next time. 5) What was the biggest difference between running the CCS final and the trials at state? I went into CCS Finals seeded 2nd, so I knew I had a good chance to make it to State if I had a good race - I went into CCS Finals very determined. However, going into State Trials I wasn't seeded very high, the competition was intense, and I think it affected my confidence a bit. 6) Looking back at your track and field season, what would you say was your best race of the season? 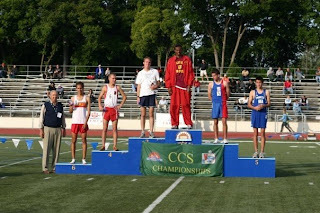 My best race of the season was definitely CCS Finals. I think I ran a smart race and pushed my body to it's limits during the 1600. Also, my 4x400 relay team did really well - we broke our school record and missed going to State by only .11 seconds. It was a great night! Thank you. 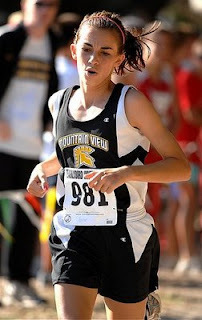 I had such a great time running with the Mountain View HS cross country and track teams this year. I am really looking forward to fall! Brian Pilcher of Ross took the lead coming down the Swoop portion of the trail and cruised to victory Sunday in the 99th Dipsea Race, a 7.5-mile footrace from Mill Valley to Stinson Beach. Pilcher, 52, won for the first time. He had a clock time of 48 minutes, 25 seconds and a run time of 55:25 in the handicapped race. Mark McManus of Mill Valley finished in second place, 32 seconds behind. Alex Varner was third and won the Best Time for the quickest time on the course with a 49:26. Julia Maxwell, 13, was the top female runner. She finished fourth in 49:51. Novato High standout Erik Olson was fifth and won the high school trophy with a 49:55. Complete results of the race will not be available until late Sunday, due to complications with the organizers. Check back here at www.marinij.com/dipseaa for complete coverage, including results, photos, video and analysis. You get shoes, lunch and great speakers like Dana Hills’ Tim Butler (fastest Cal team at State Meet ever, Ken Reeves, most state titles in cross country, and John Cook (pictured above), coach of superstar Shannon Rowbury and other Olympians! You must email Tim Hunter at thunter@srvhs.org before the 14th to get the free shoes. Include your size. Forward this on to your friends. 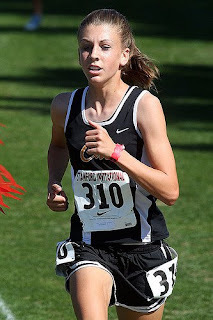 Today we chat with Santa Rosa distance runner, Reesey Byers who just recently finished 17th at the CA state meet 3200m. running 9:06.93. Quite an accomplishment for an athlete who came into this season with a PR of 9:54.02. As Byers will explain, his breakthrough race this year came at the Viking Classic (Montgomery HS) where he imroved his 3200m. PR by 21 seconds. At the NBL (league final), he finished in 2nd. place in the 1600m. (4:29.55) behind teammate Rory McLeod and won the 3200m. in 9:32.59. The following week, Byers finished in 5th place in the 1600m. (4:24.98) but chose not to advance in that distance. He finished in 3rd. place place in the 3200m. running 9:23.03 trailing only Erik Olson and Sterling Lockert. Going into the NCS MOC, Byers was one of several runners who felt like they had an opportunity to qualify for the state meet. Byers came through by finishing in 4th place (last qualifying spot), running another PR of 9:14.15. I only had one workout on Tuesday and the rest were easy 20 min. runs with 2 laps of ins and outs on Thursday. Well, my coaches told me to put on my spikes. I did a 1200 first which was broken up as follows: 400 slower than 2 mile pace, second 400 at 2 mile pace then next 200 33ish and last 200 all out. I hit 72, 68, 32 and 29. I got a 3:21. Then after 10 min. of rest , I did a 900(I know, it's a weird distance). First 500m was between my mile and 2 mile pace, stride a 100 then last 300m was all out. First 400 was in 68 but I 'm not sure what was my 500 split which was then followed by the last 300m. in a 42. Not sure of the overall time but I came through 800m at 2:15. Then, following another 10 mins. of rest, I did an all out 300m. I did better than I had hoped to do. I wanted to hopefully get under 39 but ended up running a 37.83 and PR'ing in my 200 as I split my 200 in 24 which was nice. I hit all of my splits and better so it was a good workout for me. The workout was at various paces. 2) What was your race plan going into the 3200m. final? Were there runners you were focusing on or were you focused on running certain splits? I told my coach that I wanted to try to hit 68s and I was focusing on a couple of runners, Sterling Lockert and Wyatt Landrum. Well I just tried to stay relaxed and focus on hitting the splits I wanted. I tried not to worry about anyone elses race but mine. I felt pretty good with a mile to go and then really started to feel it at with 800 to go. I had a pretty good last lap (65sec. ), so I was happy. The hardest part of the race was probably the last 200m. I really felt the pain but somehow I was able to push through it. 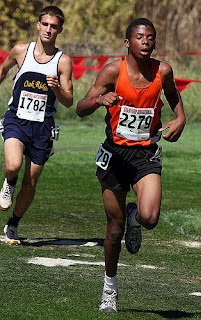 5) You had a great race at the NCS MOC to qualify for the state meet and another breakthrough at the state meet. Was there a point in the season that showed you that you could run that fast? Yeah, I had a 21 sec. pr at the viking classic track meet going from 9:42 to 9:21. It opened up the possibilities of me breaking 9:20 and going to state. 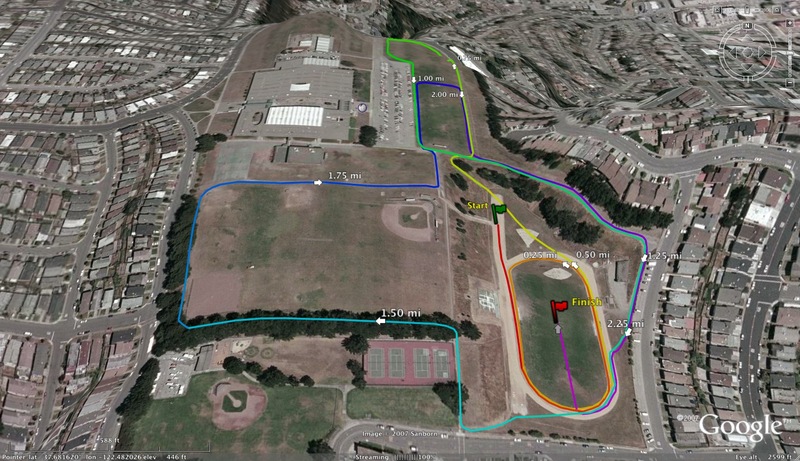 I am running the summer track series at Maria Carrillo and the Kenwood footrace on July 4th. Among the favorites for Sunday's race is Novato HS's Erik Olson. He might challenge for the overall fastest time but will be hard pressed to win the entire race due to the time handicaps which favor the old and very young. Anybody out there have had the experience of running in this race? 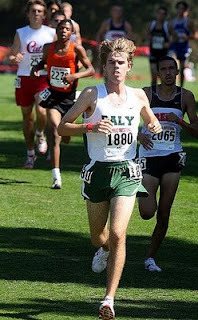 Today we hear from Mountain View distance runner, Garrett Rowe, who finished in 4th place at the CA state meet 3200m. running 8:55.71. His place was the highest for any Northern CA runner in the most competitive 3200m. in state history. That time is also the 6th fastest 3200m. ever run in CCS history. As you can see by the list, some of the times are converted 2 mile times which became the 3200m in 1980. Garrett's state meet effort followed his CCS race effort the previous week, where he finished in 2nd place just behind Sobrato's Lance Wolfsmith, in a then lifetime best time of 9:08.17. If you take into account his performance at the CA state cross country meet as well, Garrett was able to run two brilliant races in the biggest races of the year. 1) What did you do training wise (day by day) following the CCS final on Friday to the 3200m. final yesterday? On Saturday I ran 12 miles at a fast pace, I didn't run Sunday, Monday I did five miles, Tuesday I did an easy workout with 200's and 400's, Wednesday I ran six miles, and both Thurday and Friday I ran three miles with four easy 200's. I wasn't focused on running any particular splits and I knew the race was going to be crowded, so I decided to stay with the lead pack the whole race. The first five laps of the race were extremely crowded and everyone was jostled around at some point. My first 1600m was 4:31, and the leaders picked the pace up for the last four laps. We finished with a 4:24 second split, with 2:07 as the last 800m. The toughest part of the race was definitely the first three laps because there were so many runners jammed into the front pack. 5) Was there a point this past season when you thought you had a shot of breaking 9:00 in the 3200? I realized that I could break 9 minutes about halfway through the season because I wasn't training extremely hard but I was progressing quickly in the 3200. As far as I know, I won't be racing this summer because of family vacation plans and cross country training. Thanks for your time Garrett! I hope all of you had a great conclusion to your track and field seasons and are having a good finish to the school year. We are capping off our last day of school with the first Dublin All-Comers Meet of the summer this Thursday, June 11 at 5:00 PM at Dublin High School. The Dublin All-Comers Meets will happen every Thursday night from June 11 - August 13 at 5:00 PM. Please pass along the attached information to your student athletes and fellow coaches or check out our website at www.dublincrosscountry.com. Thanks and we hope to see you there! Results: Available at www.dublincrosscountry.com and www.dyestatcal.com. Parking: Free parking available on campus as well as the street. Notes: 3/16 needle spikes required and will be checked at gate. Spikes will be sold at the Snack Bar. USATF rules are in effect. Snacks and refreshments will be available. Meet will be conducted rain or shine. Gates open at 4:00 PM. This is a rolling schedule. Girls then boys then women then men compete in the running events. For more information contact meet director Chris Williams at coachchriswilliams@yahoo.com. 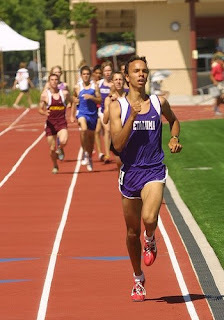 Today we hear from Petaluma distance runner Sterling Lockert who just recently finished in 10th place in the 3200m. at the state meet, running a personal record, 9:01.32. Lockert finished 2nd at the NCS MOC 3200m. behind state leader (at the time) Erik Olson of Novato running a then lifetime best, 9:09.48. He qualified for the state meet in the 3200m. as a sophomore (9:23.55 3rd place), the 1600m. as a junior (4:16.07 4th place finish) and then chose to focus solely on the 3200m. this year. This is my best guess at what it was. I don't totally remember. Monday I did a short 35-40 minute run. Tuesday I did a work out of 2x1000 at tempo pace (about 3:05ish) Then 2x4 at mile pace (62-63). then 4x200 at 800 pace (28-29). Then wednesday a short 30 min run. Thursday a short 25 minute run with 4 200's at 2 mile pace (33-35). 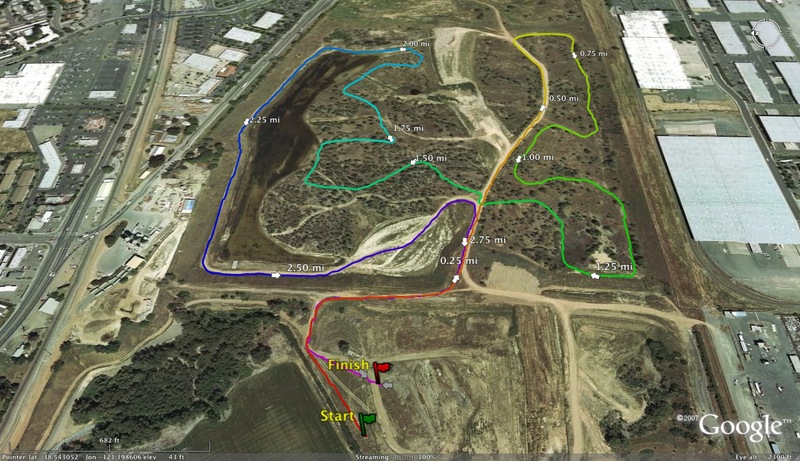 Then Friday a short 20 minute run, which i did at about nine in clovis. I was focused on splits. I wanted to turn about a 4:33 for my first mile. I knew that going out with Olson would be suicide just from looking back at the last two races. I knew I had the leg speed to run a faster second mile so after the first one I just started moving up and picking kids off. Toughest part of the race was after lap 5. Still having three laps to go, I really had to put my head down and get to work. But I managed to hang on to it and get myself motivated. 5) When did you decide during the season to solely focus on the 3200m.? What time were you shooting for? I decided over winter to focus solely on the 3200. I felt like I made a mistake last year taking the 1600. This year I just happened to be in the most loaded 3200 field ever...not a bad claim to fame. And the time I really would have like was under 9. But I ran the exact race I wanted at State so there's not to much disappointment. I'll probably do the Kenwood. But I need to wait and see what the Coaches at Loyola have in store for me. Thank you very much Sterling. Peter Guenther of Gilroy HS before his 110m. final Hurdle race at the CCS Finals. Guenther swept both hurdle races on his own HS track. Every year, my coach is pretty good about making me peak at the end of the season. However, my coach adjusted my workouts because my legs were a little tired from NCS finals. On Monday we worked on my speed by doing 10 200s at 75% then a 25 minute easy run after. Tuesday was a 6 mile run at a medium pace and Wednesday my coach repeated the workout from Monday. Thursday I ran a 6 mile run at a faster pace then I did on Tuesday and Friday was my recovery day (only 25 min). My legs were feeling better and ready to race by Saturday's finals. The past races I have been playing catch up. My coach wanted me to run a controlled race and move up. "It's all about the last two laps" like he said. I wanted to be around a 5:25 split mile but there were so many girls going at a fast pace the first mile that I ended up running a 5:20. But I didn't let that discourage me, I just told myself I have to run this fast to pr. I started moving up when there was only 800 meters to go and just went for it. I wanted to break 10:50 going in and ended up running a 10:44 because of how fast of a race it was. I was really excited about my time and thought it was the perfect end to my season. I thought I got an okay start. It's kinda hard to not get elbowed in the beginning when there is 31 girls in your race. I was in the back for the most part of the first 1600 then on the 5th and 6th lap I passed 3 girls. The last two laps I improved my position to 13th. I am not quite sure how many girls I passed, but this year there was so many fast girls in the race it was hard to dictate where I should be. Before every race, I try not to think too much and just go out and run. My goal was to make it to the state meet and I did. The hardest part of the race was deciding when I should move up but overall I wanted to have fun and pr. 5) During what part of the season did you feel like you had a great shot to make the state meet? When I ran my pr in the 1600 at Sacramento Meet of Champions (she ran 5:03.42), I realized my times were getting substantially better to put me in position to make the state meet if I stayed healthy and trained hard. No, I am going to focus on training for cross country at Sacramento State and the difficulty that comes with running at the next level. Today we hear from Palo Alto runner Philip MacQuitty who just recently finished 18th, at the CA state meet in the 3200m., with a lifetime best time of 9:07.23. Philip had a few break out efforts this past season, including an impressive 1:55.99 in a duel meet 800m. He really started to roll late in the season starting at the CCS semis (as he mentioned below) and continued that momentum by recording a PR to qualify for the state meet, finishing 3rd in a ultra competitive CCS meet. I ran on average 4 miles a day after CCS. I had one work out on Tuesday and some 200s on Thursday after an easy run. Going into the race I didn't want to look at the clock. I wanted to run with the pack for the whole race. 3) Tell us a little how your race progressed from the beginning and how it unfolded as it got into the second 1600m. I felt really good during the first mile and was in the front half of the field for the first 5 laps. As I got ito the second mile, I started falling off a little. 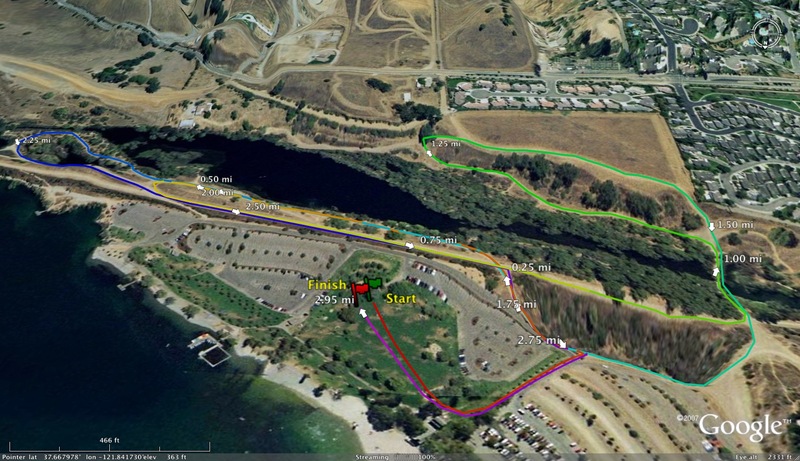 Lap 6 and 7 were the laps that made me fall of the pack and the pace i wanted to go (both 71 seconds). I was luckily able to regain some lost time on the last lap (63). The laps 6 and 7 were the toughest for me. 5) What race during the season do you think gave you the confidence to run so well at the end of the season? CCS semis. I felt really good running 9:11. 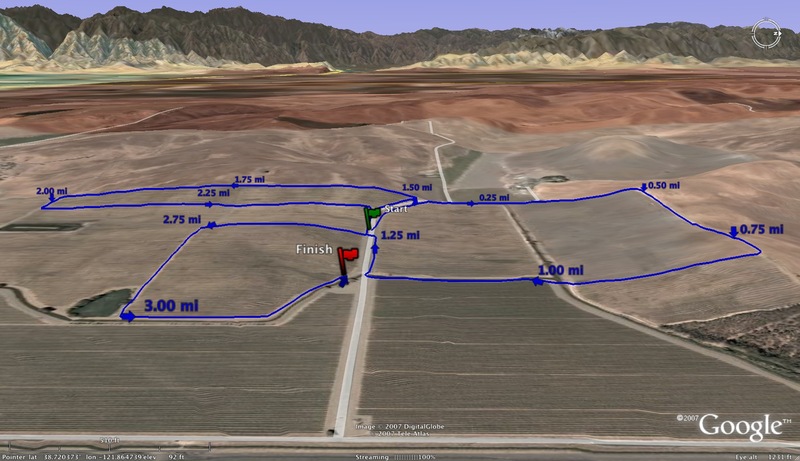 I am going to Golden West, I will be running the mile there. I might do an all comers meet just to run a fast 800 and try to break my pr. Thank you. I wanted to add that CCS ran very well especially Garrett and Mitch. They both ran an extremely smart race. Today we hear from California distance runner, Colleen Lillig. Before her state meet effort this past Saturday in the 3200m., she was recently crowned as the NCS champion in the same event as she rolled to a 10:43.95 victory. At the state meet, Colleen finished in 12th place in 10:43.54, trailing only Jacque Taylor in the race for the top honors for Northern California runners. I just ran easy the day after to loosen up. I took Monday off because I had been suffering from a really nasty cold and needed to lay low. I came back teusday and did a few 800s at pace. The rest of the week was just easy runs and strides. This was my first race at state for track, my coach told me to just go out and run and go for a medal and a PR. We're hoping to use this as experience for a more tactical race next season. I went out at about 5:17 which is around what I wanted to come through at. I felt good, but on the sixth lap something happened, my legs just gave out and I died for a moment, the whole pack passed me. I got a second wind later, but it wasn't enough to move back into medaling position. The toughest part of the race was watching that whole pack pass me so quickly on that sixth lap. I have the confidence I can run with those girls so I'm pretty mad I couldn't get myself to stay with them when I shut down for a moment. 5) What do you feel like you learned at this state meet that will help you next year? I've learned to be more patient. I took the risk of leading that big pack through the first mile. I don't regret doing so, but if i had been more patient and sat a little longer I think the second mile would have gone a lot better for me. Nothing serious, just some fun local runs. I'm mostly focusing on training for cross country. As promised, I will post a couple of short interviews with runners from this past CA state track and field meet. I will start with a few of the competitors in the epic boys' 3200m. The first will be Matt Petersen of Davis HS who ran a lifetime best time of 9:01.45 to finish in 11th place. 1) What did you do training wise (day by day) following the SJS final on Friday to the 3200m. final yesterday? Bill has always been able to peak us perfectly for our big races. We understood that "the hey was in the barn" and all the real work was done. So this week we scaled it back to make sure we were fresh. Saturday and Sunday did not consist of the usual long run but instead just two easy shake out days of 7 miles on Saturday and 5 on Sunday. On Monday Trev and I did a threshold work out within the run. It was 40 min run with 15 mins of threshold pace. Tuesday was a recovery day (30 min) and Wednesday was our last Vo2 max day. At this point in the season we were running at 94 % of goal pace. So we did one mile on the track at 4:34. Thursday and Friday were both easy recoveries. We usually work out on Thursdays but the week before Masters we changed it to Wednesday because Bill could see we were a bit beat up. I felt super fresh for the masters race so we decided to workout on Wednesday again this week. 2) What was your race plan going into the 3200m. final? Where there runners you were focusing on or were you focused on running certain splits? So we've tried to play the split game the whole year, trying to negative split and going out in a controlled first mile. That for some reason or another just wasn't getting the times down. So going into the state meet, I knew there was going to be a big pack behind Olsen, the plan was to be in this pack and in the mix and not off the back. I payed very little attention to any of the splits, in fact I didn't see a single one. My main focus was to compete, kind of to turn it into more of a cross country race mentality. I knew if I could compete well, the time would come. I thought that 9:03 or 9:04 would get on the podium, but this race was just too deep. I wish that that time could have gotten a podium spot, and it would have almost any other year, but I thrilled about the fact that I was able to drop 15 seconds, especially in my last race for the Blue Devils. So like I said I tried to be in the mix. I got off to a great start and was comfortable from the beginning. I had a good spot, I wasn't boxed and I wasn't running in lane three either. I constantly stayed in about 9th place or so for the whole first mile. I saw no splits so I was constantly checking the position of the other competitors and maintaining contact. I was feeling like my body could respond to anything I asked it to, so I made a slight little move on 6 to get up a few spots, this was when people really started going though. I pressed on 7 and 8, knowing it was the last shot I had in high school running. I found my 2nd gear coming around the turn, but it just so happened that everyone else had theirs too. I still didn't know what time I ran until a few seconds after I found my teammate Trevor. Well once the gun went off, I was fine. My body responded to almost anything I asked it to. Definitely the hardest part for me was before the race. I was just trying to keep my nerves down. Physically, I really started hurting the back stretch of 8, but that's when you're supposed to really feel it. 5) Was there a point this past season when you thought you had a shot of running as fast as you ran yesterday in the 3200? My goal the whole year has been to break 9. Until last week though, I thought I might be falling short. Last week at masters I felt really smooth and relaxed and ran my second fastest time to date (at the time). After that I knew I was in 9:05 shape but the 9:01 still came as a bit of a surprise when I saw it on the board. I'm not sure, maybe a few road races with the guys, but I'll have to see what the training is like. If you have any questions for any of the competitors, please let me know at albertjcaruana@gmail.com or ask them directly in the comment box below. As I waited for the results to show up on my screen, there was one event that I was really looking forward to and that was the boys' 3200m. Besides the fact that the 3200m. was my best race in high school, this race stood out for me this year in the way so many of the top distance runners chose to solely focus on this distance. While some people use the 3200m. races as the time to get a bathroom break or something to eat before the 1600m. relays, I enjoy watching the 3200m. like Nascar fans enjoy watching cars making constant left turns on a race track. When the 3200m. results finally showed up, it was like WHAT!?!? PRs galore down the list. If you want to see this race, here is the video from flotrack.org. Meet 1915-2006" by Tom Casacky and Bill Peck. and at the time, the distance was 2 miles. I will see if I can get the perspective of the some of the runners from the above race. In the meantime, here are a few articles that mention the 3200m. (and other events as well). Any thoughts on the race? Most surprising finish? Who are the Northern California athletes with the best shot of winning a state meet title(s)? You may vote for more than one athlete. You can explain why you voted for a certain athlete and why you feel they have a great shot to win in the comment box below. Who is a lock to win? Is there such a thing from Northern California? Are there athletes who are locks to win from anywhere in the state? Can anybody identify what year the picture above was taken and who is the winning athlete? Thank you in advance for taking part in the poll. As we head towards the state meet this Friday and Saturday, here are a few newspaper articles detailing some of the competitors in one of the top track meets in the United States. I will post more as I find them. Today's interview is with recently graduated Burlingame HS runner, Rogan Meza, who just recently finished in 4th place in the 1600m. at the CCS finals (Rogan is 3rd from the left in the adjoining picture). As disappointing as 4th place can be to any CCS track and field athletes, Rogan's 4th place finish was anything but disappointing as he completed a senior season with many accolades and achievements. If CCS gave out a most improved award for any of it's athletes, Rogan would have been one of the leading candidates as you will see below. 1) How did you get started in the sport of running (xc and track and field)? Freshman year I didn't run cross country, only track. My family gave me the push to run. 2) What other sports did you participate in besides those two? Freshman year I tried out for football and soccer but got cut from both. In sophomore I played basketball. 3) When do you feel like you made the decision to crank up your training and succeed in both sports? The summer going into senior year. 4) Looking back at your senior season in cross country, what do you feel was your best race of the season? I am going to say the state meet because I ran my personal best pace wise which was 5:27 pace. I ran that smarter than most other runners by going out slower and not going out with the leaders. My teammate, Max, went out in 5:00 and I went out in 5:10 but i came back in 16:54 and he came back in 17:16. 5) Before the summers before your junior season and senior seasons, what were the biggest differences training wise between the two? I ran more consistently over the summer in senior than junior year. Not a lot of miles but a good base which really helped. 6) What were your PRs on the track following your junior season in the 800, 1600 and 3200? What are your PRs for those races now? Junior year in the 800 I ran 2:13, 1600 was 4:46, and the 3200 was 10:28. Now in the 800 I run a 2:02, 1600 is 4:21, and the 3200 is 9:39. 7) You qualified for the state meet in cross country. 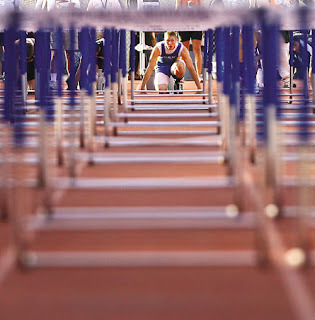 Following that season, did you feel like you had a shot at the state meet in track and if so, what event? I never felt like I had a chance to make state in track until league finals in the 1600. But in January and February I thought the 3200 was going to be my best event and be able to CCS finals. 8) What race during this past season really gave you the confidence that the state meet was a real possibility? My league finals (PALs) 1600 meter victory over Daniel Filipcik. I ran a 4:24 while leading most of laps 1, 2, and 4. I never led lap 3. To see Obbie's (Rogan's coach) face of how proud of me was amazing and gave me confidence. 9) What were some of the workouts that you did on the track this past season that you feel helped you achieve your success in league and CCS? I did a lot of 400's. I would do anywhere from 12 to 20 of them at a time. Mostly by myself. I had teammates who would run their lasts one with me but I would keep going by running usually 75's or faster and then getting in the low 60's in the last few. 10) What was your game plan going into the CCS 1600m. 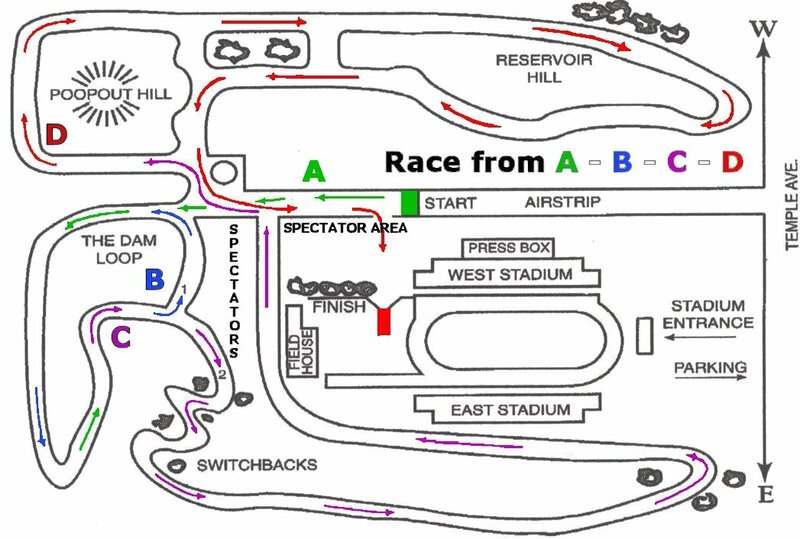 final and how did the race unfold for you? I had no plan but to just try and get third. First lap, I went out in a 65 or a 66 while everyone went out in a 62, 63, 64. I was relaxed. i was back in 10th place after lap 1. In lap 2, I surged up to about 5th or 6th and just relaxed running a 2:11, 2:12 for the 800. Lap 3 was just the same, I was relaxed I let some people pass me but not enough where i couldn't catch them, running a 3:19, 3:20. Lap 4 all hell broke loose. I was in 4th or 5th starting the lap and was about to go. Then about 3 to 5 guys crashed in and almost knocked me out of bounds. I got really scared and started to run in lanes 2 and 3. Greg Innes from S.I. passed me with 300 meters to go and I went with him knowing that we were the two competing for that number 3 spot. We passed about 4 to 6 guys on the last lap. With a 100 meters to go he swung out to lap 2 and I swung out to lap 3. We were sprinting down the straight away knowing that one of us was going to go get that third spot. I missed state by .6 of second but did get a PR. I am happy with what happened during my senior year of track. Going to state would have been icing on the cake. 11) Tell us a little about your coach and how he has helped you develop into the runner you are today. Obbie. Wow, one of the greatest persons I have ever met in my entire life. He works hard for those who work hard for him. He treated me like a son and I have no problem calling him second father. He has helped me become the runner I am today by motivation and confidence. There are not enough words to describe this man. The one that comes to my mind first is amazing. I could write an essay on how this man changed my life. 12) What are your running goals for the future? I don't have to many goals right now. I will be running for Chico State next year. I plan on competing in the 5k, 10k, and 3k steeplechase. No times are set yet I always do those the season before it happens. Missing graduation to run CCS finals was one of the best choices I have ever done. I live to run.